Obituary for Sue Perkins | Sykes Funeral Home & Crematory, Inc.
Funeral service for Sue Ann "Beam" Perkins, age 73 of Palmyra, will be Saturday, February 9, 2019 at 2:00 PM at Sykes Funeral Home. Burial will follow in the Greenwood Cemetery. The family will receive friends on Saturday, February 9, 2019 from 11:00 AM to 2:00 PM at the funeral home. Her grandsons and Jimmy Grimes will serve as pallbearers. Sue passed away on Thursday, February 7, 2019 at her residence. She was born on October 15, 1945 in Okmulgee, OK to Robert and Bonnie Justice. She attended Yellow Creek Baptist Church. Sue was a loving wife, mother, grandmother, and great-grandmother. She was the author of the book, " Cool, Clear Water", and enjoyed gardening, Civil War history, and spending time with her family. In addition to her parents, Sue is preceded in death by siblings: Jimmy Hubbell, Mozelle Watts, and Beverly Hubbell. 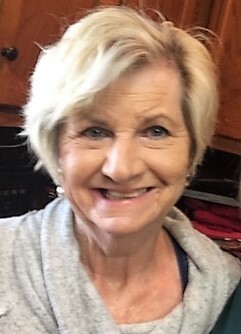 She is survived by her husband of 42 years, Robert Perkins; sons, Brian (Bettina) Perkins and Chris Lancaster; daughters, Brandi Perkins Alford and Britney Perkins; brother, Bobby Hubbell; grandchildren: Dylan, Aaron, Dalton, Taylor, and Christian and great-grandchildren: Caden and Tyler.